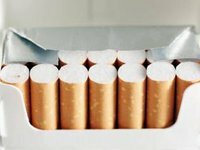 Megapolis-Ukraine (Ternopil), the largest wholesale tobacco trader, has said that actions to block its operation are a planned campaign to destabilize it with the further illegal seizure of the company. "We view the actions of unidentified persons as the planned campaign to destabilize the company with the further illegal seizure. We also believe that this campaign was ordered to redistribute the Ukrainian tobacco market," the company said in a press release on Wednesday. Representatives of Megapolis-Ukraine have submitted applications to law enforcement agencies, Prosecutor General's Office of Ukraine, National Police, heads of regional administrations where its operations are blocked. The applications demand to punish the campaign participants for illegal actions aimed at destabilizing the operation of the company. Earlier MP Andriy Levus said that the chief department of the State Fiscal Service and the Security Service of Ukraine (SBU) in Lviv region will check the operation of Megapolis-Ukraine. Protesters participating in the blockade of the largest tobacco wholesaler agreed this with Head of Lviv Regional Administration Oleh Syniutka on Wednesday. The State Fiscal Service will study revenue of two logistics warehouses in Lviv, and SBU will check removal of funds into offshores and the affiliation of the company with Russia. The campaign to block operation of Megapolis-Ukraine started on January 12 in Kyiv, Lviv, Lutsk, Rivne, Kovel and Ternopil. The activists are blocking the operation of the distributor's warehouses. MP Serhiy Vysotsky said that Megapolis-Ukraine was founded by Russia's Megapolis and the Yanukovych's 'family.' The owner of Megapolis – Russian oligarch Igor Kesayev – also owns Russia's V.A.Degtyarev Plant producing gun weapons. MP said that Kesayev heads the Monolith charity foundation which sponsors veteran organizations of the Federal Security Service of Russia.